Make Me Over! Julianne Moore covers The New York Times style magazine. Talk about a theatrical transformation! At first I didn't even know it was the 49-year-old radiant redhead from Fayetteville, North Carolina. 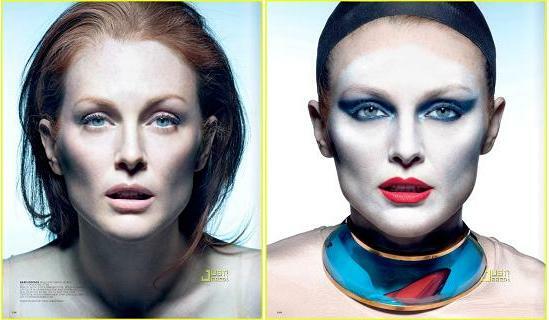 According to The New York Times, “Julianne Moore looks stunning in dramatic makeup.” (I concur.) To see more photos from the spread click here.